After doing some research, he discovered that not everyone has access to grass-fed beef, and even if people have access, their selection is often limited to just ground beef. This helps explain why just 1% of the total beef consumed in the United States is 100% grass-fed. Our goal is to make grass-fed beef more accessible than ever before. Please join us in spreading the Back to Nature Revolution all across the nation. We flew out to farms and taste-tested every cut from every farmer. If we didn't love it, you won't get it. The search is over. This is your box. Your meat for the month delivered directly to your door in one simple box! When it comes to shipping we don’t mess around. Our meat is flash frozen at the peak of freshness and individually packaged. All of our boxes are filled with a specific amount of dry ice that's carefully calculated based on your geographic location. Your box will arrive 1 - 4 days after shipping and you'll receive a tracking # the night your box ships. We ship Monday - Wednesday for arrival by Friday in most cases, and the meat can stay fresh on your doorstep for up to 12 hours! Through partnering with a collective of small farms we're able to purchase in large quantities and pass the savings along to you. Our products are cheaper than what you'd find at large grocery stores, of the utmost quality, and delivered directly to your door. We also have unique cuts that you'll be hard pressed to find elsewhere. 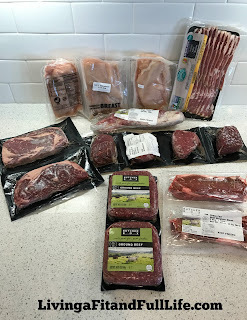 ButcherBox starts at $129/month and comes with 8-11 lbs of meat, which is enough for 18 - 25 meals (at a 6 - 8oz portion size). The price works out to less than $6.00/meal and shipping is free to the contiguous 48 states! Give him the gift he really wants for Father's Day from ButcherBox! When my husband opened his ButcherBox he was in heaven. The box was absolutely packed full of meat, and not your typical meat that you find at your everyday grocery store but quality meat that takes some searching for. My husband was so excited he decided he would grill up some steaks that very day. The steaks were absolutely amazing and it was definitely one of the best steaks I've ever had. Since trying the steaks, we've had a chance to try everything else that was in the ButcherBox and I'm extremely impressed with the quality of the meat. 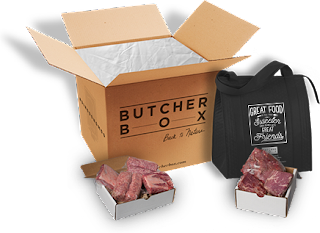 ButcherBox would make a terrific gift for Dad this Father's Day and I highly recommend it! I also have to add that it just might get you out of making dinner for Father's Day since he may be so excited to get out there and grill up some meat from his ButcherBox! Click HERE to learn more about ButcherBox! 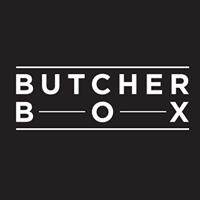 Follow ButcherBox on social media!